There can’t be many places that are as awe-inspiring and magical as Italy. 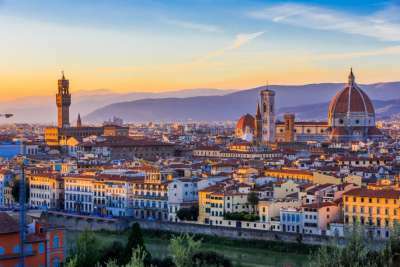 You can delve into its past as the centre of one of the biggest empires in history, or as the birthplace of Renaissance art. Or maybe you’re more interested in experiencing its modern day attractions – the fashion, the glamour and of course, the food. We love Italia! And here are the 10 places that will make you fall in love with it too. If you are going to see anywhere in Italy, it should probably be its capital. Scattered with reminders of the Roman Empire, at times it feels like an open-air museum, with many of its statues and fountains created by the great Renaissance artists. Then of course, there is Vatican City, home to the imposing St Peter's Basilica, that's euphoric atmosphere will impress even the staunchest of atheists. 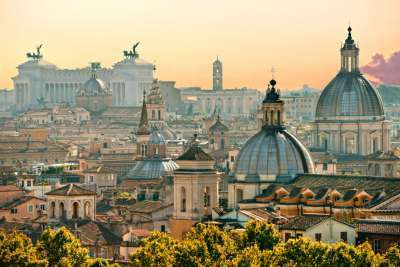 And there is the atmosphere, the 'dolce vita' way of life that makes Rome such a liveable city. Rome can simply be enjoyed by sipping coffees in one of its historic piazzas or tucking into a pizza with friends in the trendy Trastevere neighbourhood. 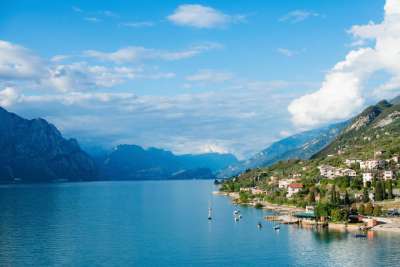 Good weather, impressive scenery and quaint villages are just some of the reasons Lake Garda has cemented itself as one of Italy's top holiday destinations. Italy's largest lake is a whopping 52 kilometres long, and the surrounding landscape is incredibly diverse. In its mountainous north end you'll find perilously perched mountain villages and epic hiking trails, and to the south are the lake's busier holiday resorts and plenty of watersport opportunities. The famous canal city really needs no introductions. If it's your first trip here, you've got a lot of 'must-dos' to tick off your list. 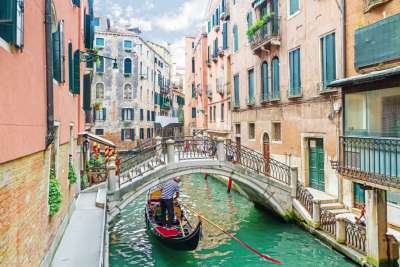 See Venice's past power and prestige at the Doge's Palace, shop your way across the Rialto Bridge and, of course, there's the romantic gondola ride. But there's more to this city than over-priced coffees in San Marco Square. The surrounding islands hold a variety of treasures, with delicate glass making in Murano and lace in picturesque Burano. Then there's Venice Lido's old-time glamour and sandy beaches. 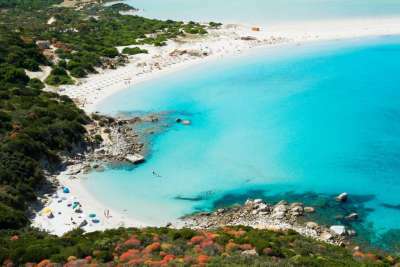 The beautiful island of Sardinia is known as an exclusive holiday destination with sheltered coves, exquisite white sand beaches and some of the most inviting blue seas you'll find in the Med. Beyond the beaches of Costa Smeralda and Costa Verde you'll discover a varied landscape, which offers scenic costal walks, oak forests and even an island of small albino donkeys. Sardinia feels distinct from mainland Italy, with proud local traditions and their own delicious variations in pasta, wine and cheese. Try not to dwell too much on the Romeo and Juliet connection in Verona, although you can visit Juliet's balcony. 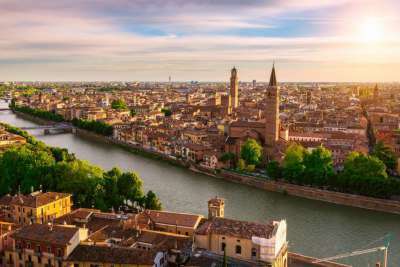 Verona's real appeal is in its rich history, worn in its late-Medieval to early-Renaissance architecture. Plus its relaxed schedule - it's a lot less full on than other more touristy cities. Amble along time-worn streets to discover ancient city fortifications, richly decorated chapels and breathtaking views from the top of Lamberti's Tower. The highlight is The Arena, a still-in-use Roman amphitheatre which hosts up to 30,000 people during the summer opera festival. The stunning section of coastline from Sorrento to Salerno is dotted with colourful towns clinging to the steep green slopes. 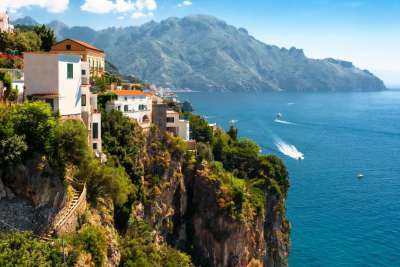 It's common to explore a couple on a holiday in the Amalfi Coast, not least because the drive between will involve winding roads across coastal mountains and breathtaking sea views. It's not to be missed. Stopping points include Positano where terracotta houses coat the hillside right down to the beach. Then there's pretty Amalfi, Sorrento, perched atop cliffs with views of Mount Vesuvius, or charming Ravello set in the hills. Just five kilometres of water separate mainland Italy from Sicily, but this rugged island could be much further. Successions of Roman, Arab and Norman rule have created a layered history, with monumental ruins at Syracuse and Agrigento. Then there's the towering peak of Mount Etna, the largest active volcano within Europe. And if you like beaches you're in luck. 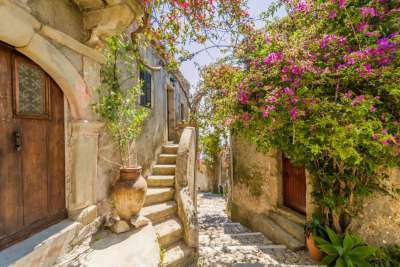 Especially if you can make it to Sicily's smaller islands. Lampedusa's white sands look like they're straight out of the Caribbean. 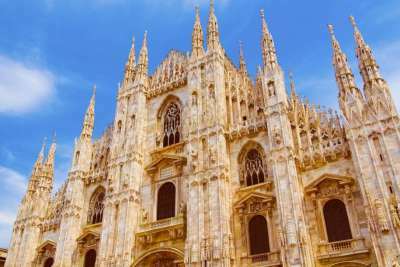 If you want to fully immerse yourself in the Italian pleasures of fashion, food and football then you need to head for Milan. Italy's second city is a mecca for designer-label lovers, with fashion houses Armarni, Dolce & Gabbana and Versace based here, to name just a few. Football you won't be able to miss if AC Milan or FC Internazionale have a match on. Plenty of Italian passion will be on display. And as for food, don't leave without trying a traditional risotto alla Milanese, flavoured and coloured by saffron. 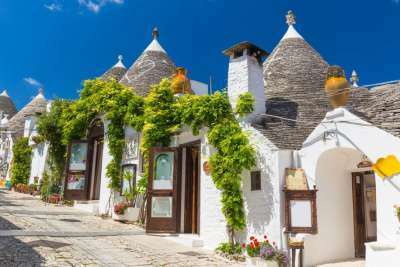 Puglia, located at the heel of Italy's boot, is one of Italy's lesser-visited regions. And we're not quite sure why. The comparisons made of the area are certainly favourable. The coastline is dotted with idyllic beaches such as those at Marina di Pescoluse, which are known as 'Salento's Maldives'. The architecture of the town of Lecce is so ornate it's been dubbed 'Southern Italy's Florence'. And for a unique experience, seek out a stay in a rural trullo house. These traditional stone huts with a conical roof are endemic to the region.